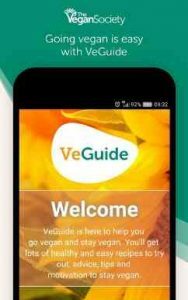 Going vegan has never been easier than with VeGuide by The Vegan Society. The Vegan Society is the first vegan charity in the world and for over 70 years, we have been helping people go and stay vegan. Now we have taken those decades of experience to create an easy-to-use app that will guide you through your vegan journey. Over 30 days, we will cover the basics of transitioning to a vegan lifestyle with our short, daily videos. The videos are presented by Mic the Vegan, Rae Likes Froot and Jay Brave, who will act as your personal vegan guides, exploring the most common stumbling blocks to going vegan and giving you the tools to overcome them. Think you will never be able to give up cheese? Do you struggle with finding vegan products? Are you just undecided if veganism really is the right choice for you? We’ll help you with all of this and so much more! As you progress through your journey, watch your sunflower grow and blossom in the “My Progress” section of the app. Check in for the full 30 days and at the end of the journey, you should be ready to become a fully-fledged vegan! Choose your motivation for going vegan and be kept on track with new quotes and facts tailored to your reasons for going vegan, each time you open the app. Watch daily videos presented by our expert vegan guides, covering the most common struggles and questions about going vegan. Keep track of your progress each day by watching your sunflower grow in the ‘My Progress’ section. Answer the daily quiz correctly to unlock recipes, discount codes and new VegAnswers. Boost your expertise with the VegAnswers section – VegAnswers are little nuggets of information that will broaden your knowledge on vegan issues. Recipes will be added to your recipe bank so you can revisit them at any time. Brilliant app for getting started with a vegan lifestyle. Loads of great recipes and information, presented in a simple and accessible format. 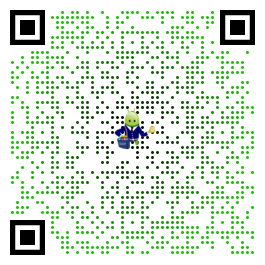 Great app, well designed, easy to use. Makes going vegan very easy. Recommended. Thanks so much for your feedback! We’re so glad you like it. Love that I can get a personalised experience! Thank you for the feedback, we’re so glad you like the app. Fantastic app. Veganism is on the rise and I’m sure this will help lots of people make the transition to a healthy, cruelty free, eco friendly lifestyle. Thank you! We’re so glad you like it.